Like most people, I heart free stuff/discounts/special deals, so when I saw that the Groupon deal of the day involved food I was positively overcome with joyous emotion. The deal was a voucher for Osteria Tre Nonni for two people for practically nothing. Two people? Really cheap? DATE NIGHT! Note: I had never heard of Osteria Tre Nonni before so I did the sensible thing and read the menu online before purchasing this deal… always a wise thing to do. So armed with knowledge of the menu and the address entered into GPS, off we went. Team: It was date night. There were two of us, obviously. Before delving into the décor, I pause for a moment to define “Osteria”.An osteria (Italian pronunciation: [oste’ria]) in Italy was originally a place serving wine and simple food. Lately, the emphasis has shifted to the food but menus tend to be short with local specialties such as pasta and grilled meat and fish and often served at shared tables. Thanks Wikipedia! So with this definition in mind, I had a certain pre-conceived idea of what to expect. checked table cloths, I wanted those cute little wine bottles with the wicker casings, I wanted cloves of garlic hanging from the ceiling, and above all else I wanted warmth. OTN did not give me warmth. I must mention the paintings though, which were beautiful. Yup, that’s about it. good place for an early supper before painting the town red elsewhere. You will not find red paint and brushes at this place. Service: We were seated by someone whom I assumed to be the manager, menus were brought by one person, drinks order was taken by another and food orders were taken by yet another member of staff. A bit all over the place and I did find myself getting a little annoyed waiting for someone to come and take the food order. However, the food was brought quickly and the order was taken correctly. (Considering there were only two of us this isn’t really a massive achievement). Food: A big plate of bread and some olive tapenade provided ample snackage whislt browsing the menu – yes, even though I had the read the menu online, a few times, I wasn’t sure what to have, plus I had to check prices, ok? Starters are too pricey in my opinion, ranging from R50 to R80. Mains are more reasonably priced and will set you back around R60 to R130. 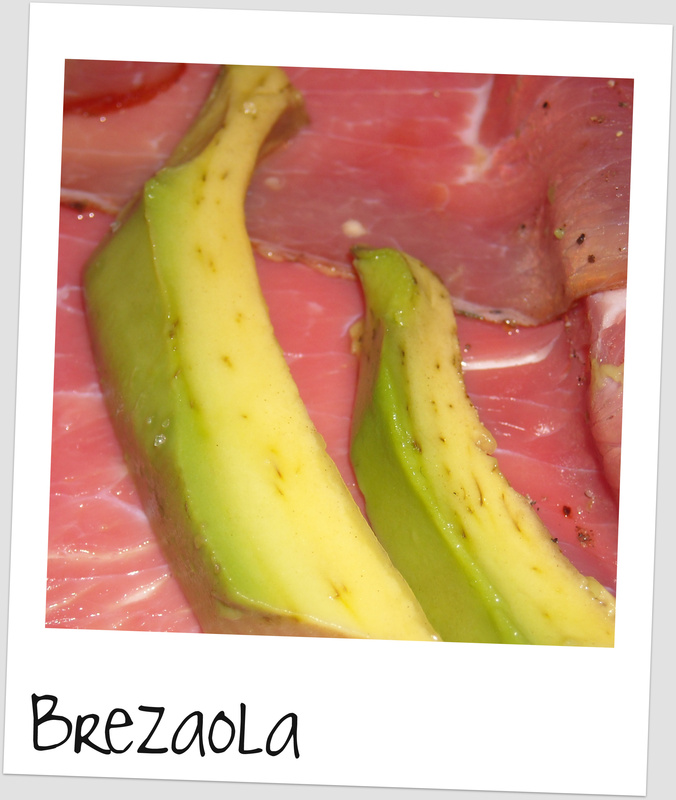 Starters: I had the brezaola which is thinly sliced cured beef. Sort of like a carpaccio but cured as opposed to raw, it was deliciously salty. It was served with avo which left much to be desired and I honestly could have done without it. As delicious as the meat was, I regretted not ordering the carpaccio. served with a cumin yoghurt sauce. Cumin? Yoghurt? At an Italian restaurant? 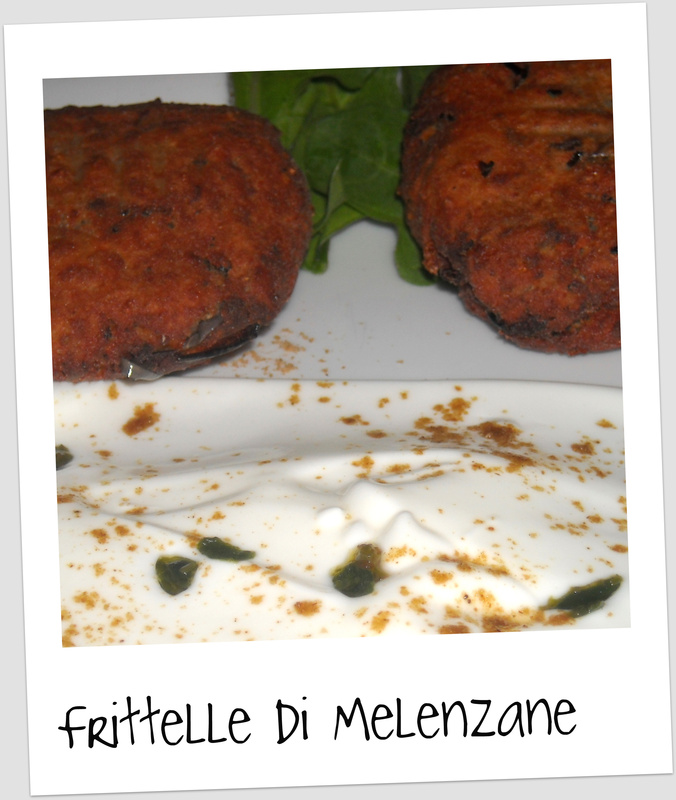 fritters (I pictured slices of melenzane deep fried in a light batter) and were slightly stogy, but the combination worked well. The cumin yoghurt was surprisingly delightful, as evidenced by my continuous finger dip-age. Mains: I always find it incredibly tough to decide what to eat. This time was no exception. After a 10 minute discussion with the boyf (plus a 10 minute internal debate) I decided on the Gnocchetti di Gorgonzola. 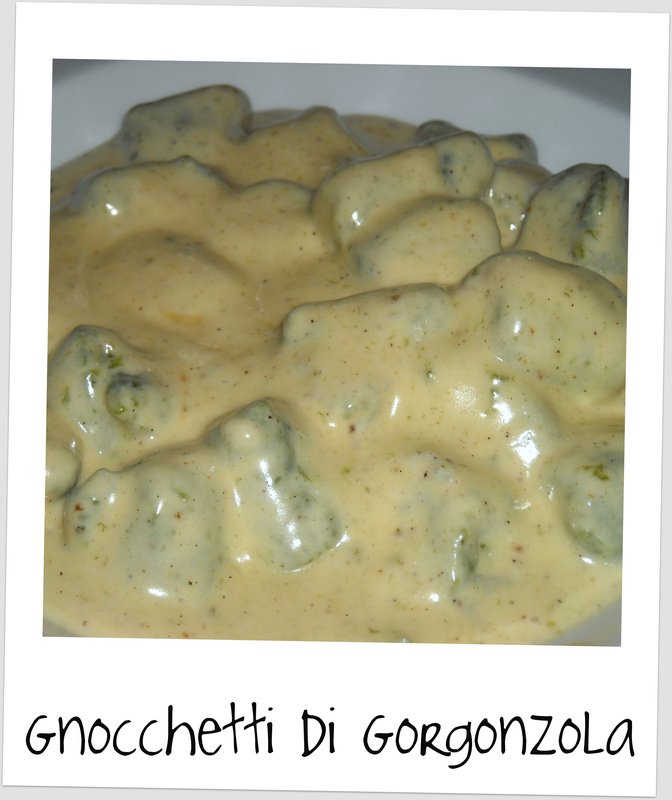 Gnocchetti are little gnocchi made from spinach and ricotta, as opposed to your standard potato variety. They were served with an incredibly rich gorgonzola cream sauce. Although delicious, I found the gnocchetti a tad soft and mushy and the cream sauce a little sickly. That being said, I ate the whole plate. Boyf decided to forgo the “great debate” and went for the Veal Limone. If it’s on the menu, he will order it. Now, as mentioned in previous posts, I have a somewhat ‘love-hate’ relationship with veal. I love the taste, I hate the notion (you know, the fact that the little baby cows are slaughtered so young etc etc etc *cue cheese vegetarian music*). None the less, I took one for the team and tasted his dish. 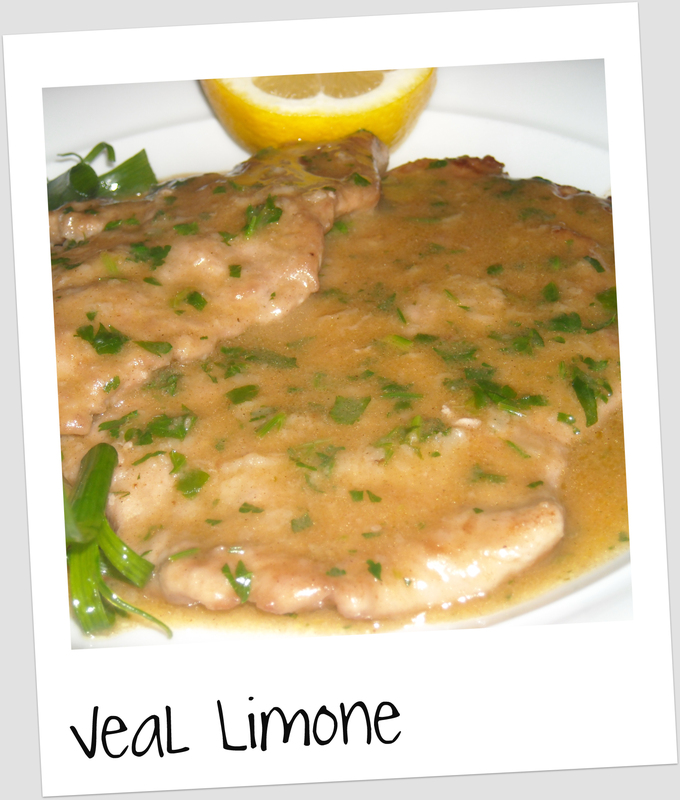 Tender veal cooked to perfection covered in a tangy lemon sauce. It checked all the boxes. Side note, maybe it could have been served with some veg as well as the dollop of mash? Just a thought. 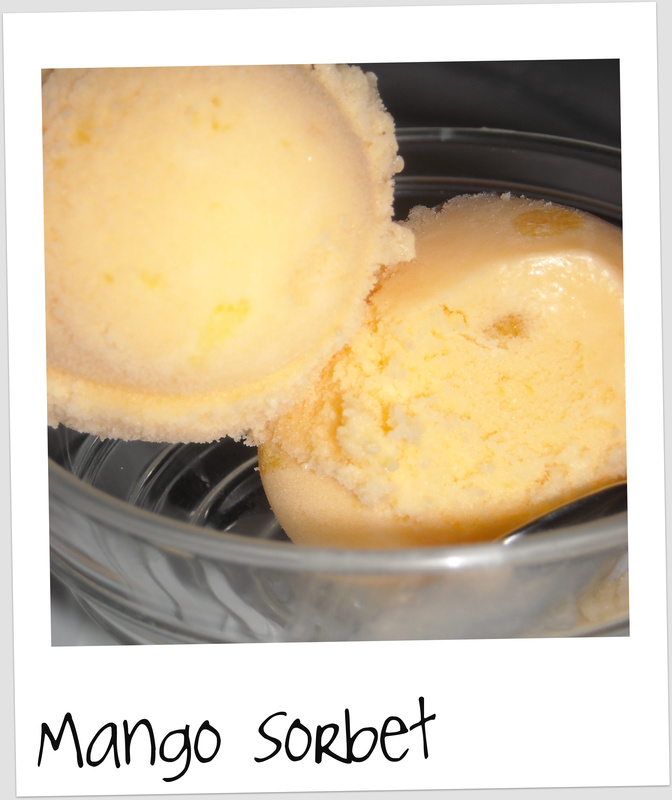 of mango. More a palate cleanser than a dessert really, but it was a welcome end to the evening. So to wrap up – did we enjoy the food? Yes. Did we have a successful date night? Oh yes. Would I go back? Not without a similar special deal/discount voucher. Note: Although Boyf agreed that the place was a little pretentious he thought the food was great and said, and I quote, “You’re just fussy with Italian places”. Looks like he will be returning to Osteria Tre Nonni for a solo date night.